Exhausts are one of our specialities. At Wallace’s Garage we stock a large range of exhausts and catalytic converters to fit most modern vehicles. We provide a prompt fitting service which in most cases can be done while you wait. You can also book with our office at a time that’s convenient to you for fitting. 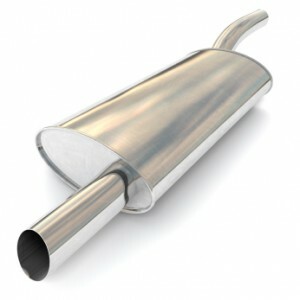 If we don’t have your exhaust model in stock we can have it delivered within 24 hours. All exhausts and catalytic converters come with a full 12 month manufacturers warranty. For broken exhausts systems that need repair rather than replacement we provide a welding service.